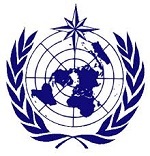 The World Meteorological Organization (WMO) is the United Nations’ principal authority on the state and behavior of the Earth’s weather, climate, and water cycle. WMO provides a framework for international cooperation in these areas. WMO’s program areas include global weather research and monitoring; global atmospheric monitoring; world climate research and monitoring; hydrological monitoring; space observation technology in support of meteorology and hydrology; reduction of disaster risks; agricultural meteorology; marine meteorology; support for public weather services; and others. 1 — Fellowships. WMO’s Education and Training Fellowships assist WMO’s member countries to educate and train personnel from their National Meteorological and Hydrological Services. Preference is for applications from least-developed and developing countries, and Small Island Developing States. Applications from women are especially encouraged. Fellowships are provided for study in subject areas and technologies for which facilities and teaching expertise are not available in the home country. Fellowships should benefit both the individual candidate and the candidate’s institution. WMO awards both short-term (less than six months) and long-term (six months or longer) fellowships. APPLICATION: WMO posts the criteria, guidelines, and application details for fellowships. An application requires endorsement by the Permanent Representative of the recipient WMO member country. 2 — Awards and Prizes. WMO is the convening organization for several awards and prizes in meteorology, accompanied by cash amounts. International Meteorological Organization Prize — The IMO prize honors outstanding work in meteorology or any other field referred to in Article 2 of the WMO Convention. Professor Dr. Vilho Väisälä Awards — The awards are for research papers on meteorological instruments, and for advances in methods of meteorological observation (i.e., one award for research, and another for instrumentation). WMO Research Award for Young Scientists — The award is given to young scientists (not over age 35 at the time of nomination) for outstanding research in meteorology and hydrology. Professor Mariolopoulos Award — The award is granted every year in recognition of young scientists for exceptional contributions to meteorology and climatology. International Hydrology Prize — The Prize is awarded annually to two people who have made an outstanding contribution to hydrological science. HMEI Award for Young Engineers — The award honours young engineers (not over age 35 at the time of nomination) for outstanding work that has been published. Norbert Gerbier-Mumm International Award — The award recognizes an original scientific paper on the influence of meteorology in a particular field of the physical, natural or human sciences. APPLICATION: WHO posts guidelines and supporting information regarding how and when nominations for each type of award should be prepared and submitted. WMO’s member states include the following developing countries, classified according to the structure of the Terra Viva Grants Directory. Note: WMO’s members also include several territories not recognized as independent countries in the Terra Viva Grants Directory. WMO supports implementation of the world’s international environmental agreements through partnerships with UNESCO, UNEP, UNDP, GEF, and international bodies for climate change and oceanographic assessment. Contact Us provides an email form and other contact information.